Sentosa is renowned for its theme parks and activities that can take up or make your entire trip. In between all of these, there are some great places on this nifty island that will satisfy your taste buds as well. 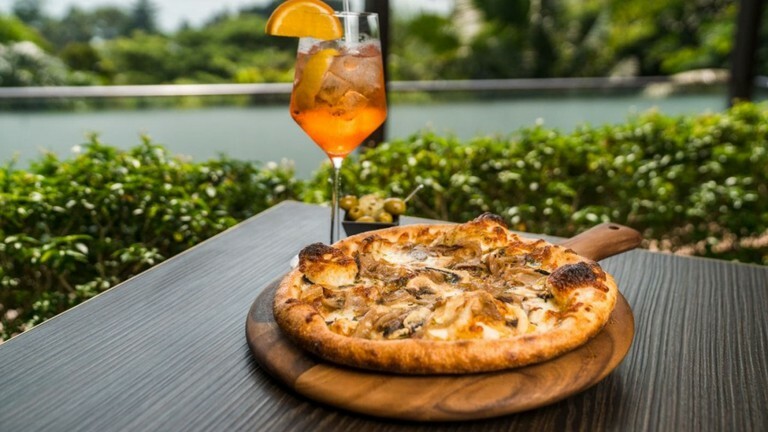 From world-renowned Michelin-starred cuisine of distant shores to local delicacies, there’s plenty of food options on Sentosa that will add to your experience as you go about your expedition around the island. If you’re spoilt for choice and really can’t decide what you want to eat, this place might be right up your alley. They have a whole array of food items you can pick from, everything from seafood to Mediterranean to dim sums and anywhere else as the menu tends to go through changes very often. Also, this is a buffet, meaning you can go for all-you-can-eat and stuff yourself silly. Just remember to leave space for desserts as they have a wide selection of those as well. 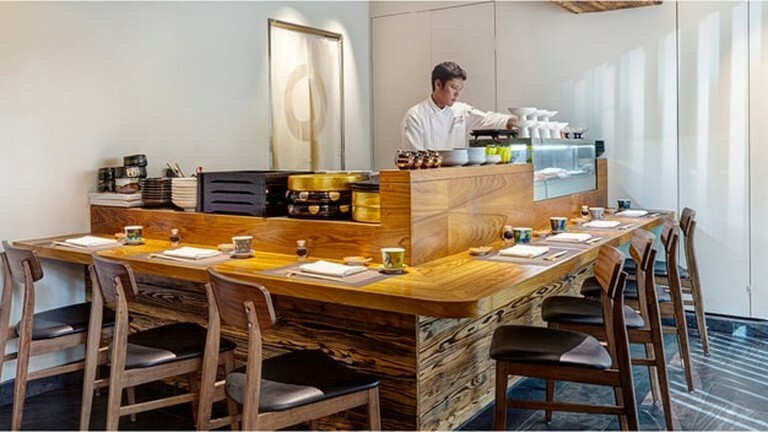 Simplicity is at the heart of this Japanese restaurant helmed by Hal Yamashita, who is famous for his ‘Nouvelle Japanese’ cooking which merges the fine culinary traditions of Japan with the Western form. Even if you are a connoisseur of sushi and sashimi, you will want to try this place out as Mr. Yamashita has a tendency to break conventions and create unusual combinations, such as placing edible flowers in your dishes and playing it up by merging different meats together in one seamless whole – which so happens to be their specialty. If you’re the kind that wants a culinary experience in a setting that is both outrageous and magical, book a seat here in advance. 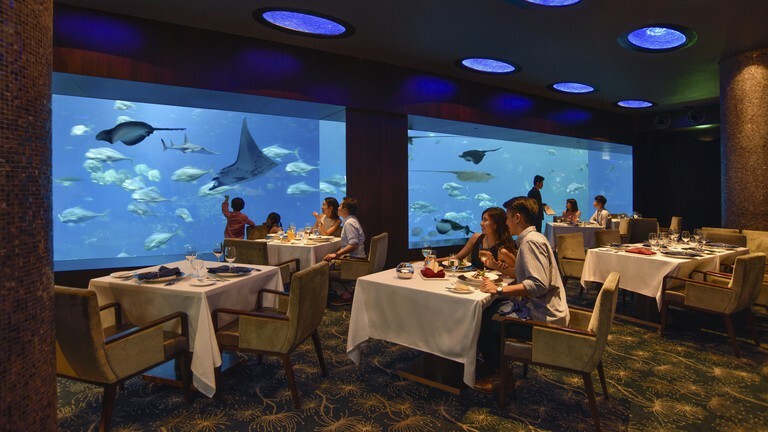 Enjoy great seafood while staring into the deep-blue recesses of S.E.A. Aquarium, home to 100,000 sea creatures ranging from stingrays, sharks and all types of fishes. 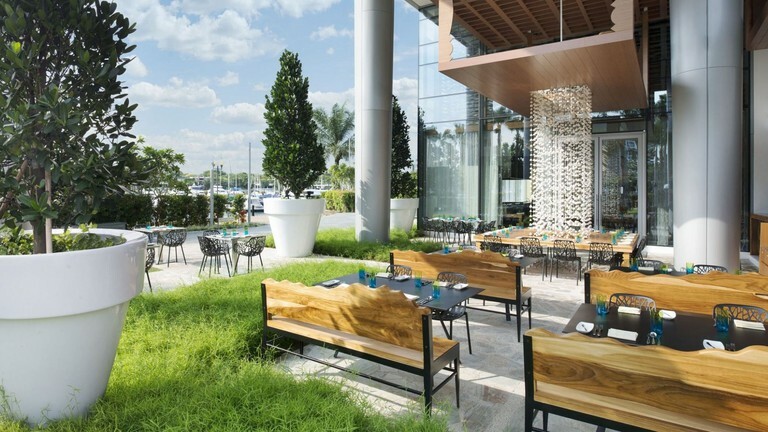 Gaze into the majesty that is underwater life while dining on some of the finest seafood by famed chef Cat Cora herself, who draws from her Greek heritage in producing the menu. This is not for the faint of heart. This celebrated Taiwanese restaurant is famous worldwide for its steamed dumplings that became an immediate sensation. Labelled by The New York Times as, “one of the top 10 gourmet restaurants in the world”, this is the place to go for classic Eastern Chinese food in a no-frills dining atmosphere. Besides their dumplings, which are stuffed with traditional pork filling, there are dumplings in different flavours as well. Savour their other classic signature dishes such as steamed chicken soup and cantonese sweet & sour pork. 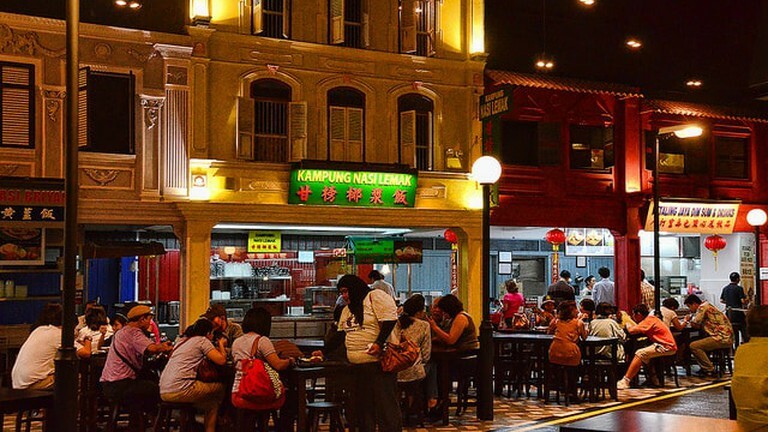 If you want something far more traditional, check out Malaysian Food Street. The entire place is meant to replicate a food corner stall seen in most parts of Asia. Expect traditional flavours from the Malaysian Peninsula like bak chor mee, claypot rice and Hokkien mee and whole lot more till you’ll be spoilt for choice. 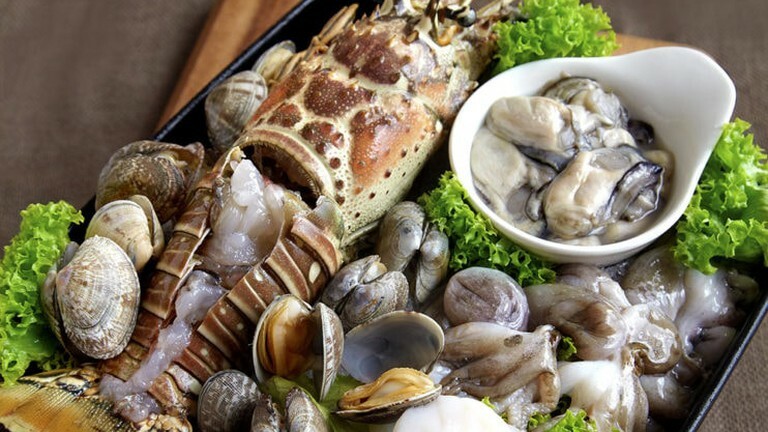 You will find the all-time favourite street fare from Malaysia within the comfortable confines of Sentosa, and this place serves as a good primer of Southeast Asian delicacies if Sentosa is your first stop in Singapore. As one of the best places to have Italian cuisine outside of Italy, this place prides itself on meticulous authenticity and heartfelt hospitality. Have a seat at this seaside abode and gaze outwards at the merchant vessels coming into port, an experience and view that is literally captivating when considering how important maritime trade is to Singapore. Besides the expected dishes of pastas and pizzas all made according to exacting standards, the restaurant has events very often where you get to explore the dishes of each Italian region and possibly receive an opportunity to learn from the chef himself. If you want to go all out and enjoy your experience – from preparing the dishes and watching your food being made in front of you – you should definitely consider this Thai-style steamboat restaurant as one of your lunch or dinner spots. Prepared in a specially homemade broth with which you can throw in all manner of meat and vegetables to be boiled to perfection, this is definitely an experience to be had if you have never tried hotpot before. 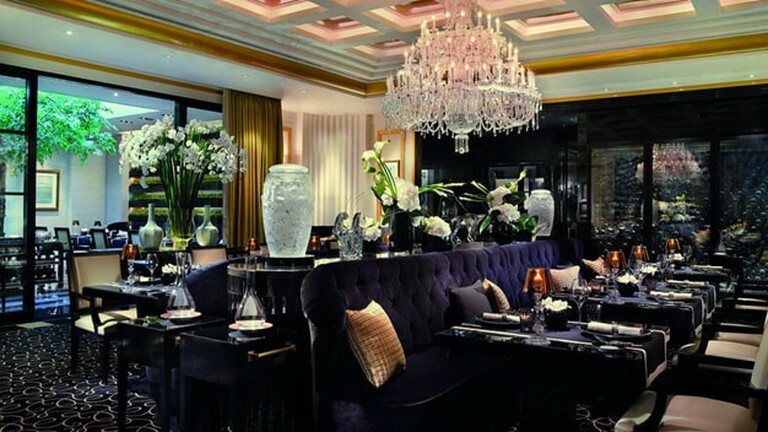 Singapore’s one and only 3 Michelin-Starred restaurant, this place is designed to look like a dining room, albeit a very, very opulent one with a grand chandelier that lurches right across a posh set-up of porcelain vases and decadent, Byzantine-like furniture. The food is exquisitely designed and prepared to exacting standards as one would expect of a high-caliber chef. This is the place to be if you want to go full on with your gastronomic journey. Just make sure not to stuff yourself with the unlimited sweet treats. 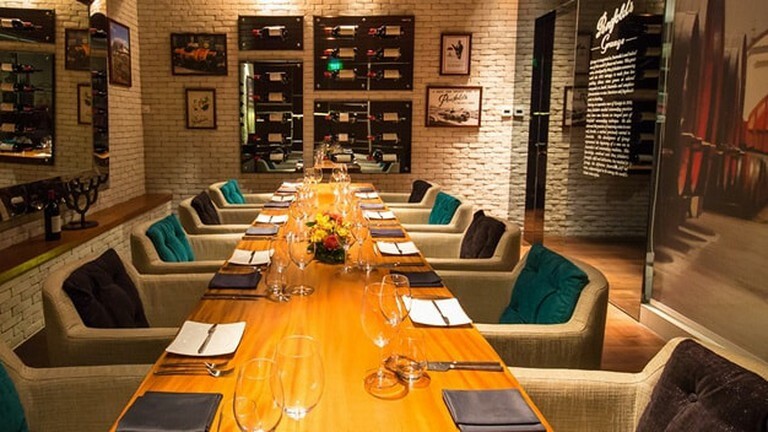 Considered to be the finest steak place in Singapore, this restaurant is for all the red meat connoisseurs. Enjoy your meat sizzled to perfection by capable chefs and dine in a comfortable, cosy environment with a bunch of your mates or family. The beef and pork is sourced all the way from Australian specialist abattoirs for the most delectable of roasts and all of it for a very affordable price that can’t be beaten for its quality. 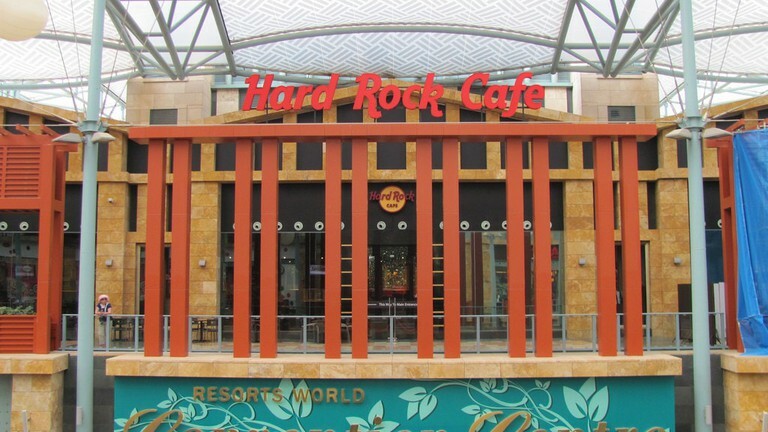 If you’re looking for a classic American diner experience, the classic Hard Rock Cafe is a great place to go. While they serve all-American classics such as mouthwatering burgers, ribs, nachos and fries, they do it with a twist by adding local seasonings like satay sauce to create a fascinating fusion. The atmosphere is a mix of wild and laid-back, decked out with a myriad of musical artefacts and the occasional live band playing for added vibe.